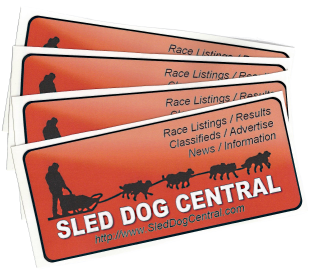 Get your Sled Dog Central Items - Help spread the word about the brand. Perfect for your Dog Truck, Auto Bumper, Dryland Cart or Sled. 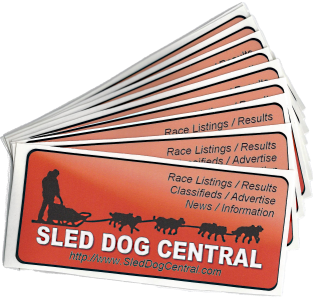 To order your Decal Pack, Send an Email to Sales@SledDogCentral.com with your desired Pack Size and mailing information. When we receive your order we will send you a PayPal invoice.